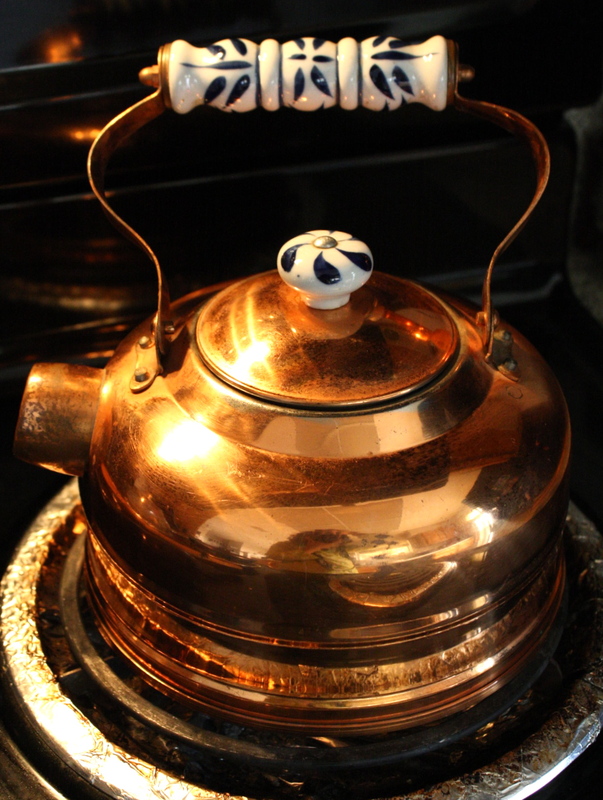 DWELL: my newest dig - copper kettle! Isn't she beautiful? This is my newest dig from the salvation army store. Did not think twice before I picked it up! It was only 3 bucks! I brought it home and gave a little soap scrub and the little spots came right off and it started to sparkle. 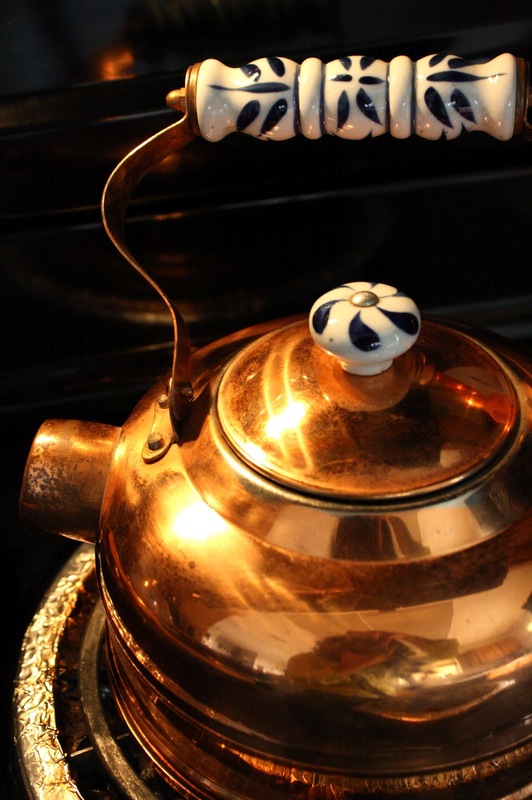 You can also use vinegar/salt/lemon juice to clean copper. So go and get out there and visit the thrift shops nearby - you never know what you will find!